Featuring the traditional design that has been popular for more than a century, roll top desks still add beauty and functionality to the home. 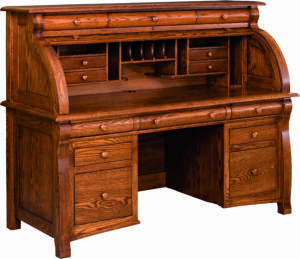 And at Weaver Furniture Sales, we have a large collection of Amish Roll Top Desks from which to choose. Also, we work with the best Amish artisans in the Midwest. And they create pieces that are firmly rooted in tradition. 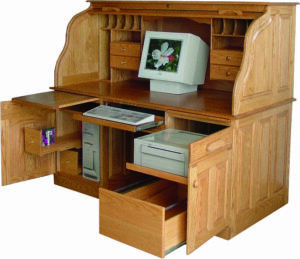 So the Amish builders craft each roll top office desk with great attention to detail. Plus superiority durability and style. 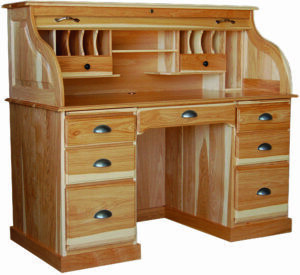 So browse our online selections of Amish roll top desks. Or visit or ‘brick and mortar’ store in picturesque Shipshewana, Indiana. 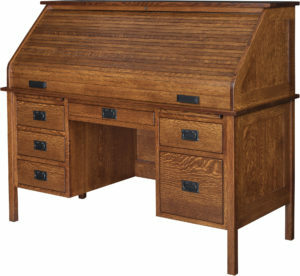 And see which Amish wood roll top desk you can’t live without. 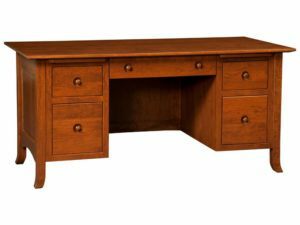 Recapture the vibe of bygone days while doing 21st century tasks with an Amish Roll Top Desk from Weaver Furniture Sales. Also, what a conversation piece it will make in your home! Equipped with drawers, cubbyholes and shelves, each wood roll top desk has lots of convenient storage space. Plus, the roll top mechanism keeps the clutter out of sight and out of mind when you’re not working. 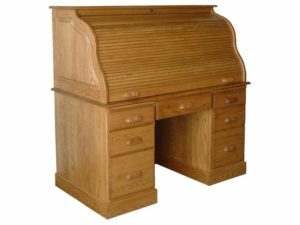 What’s more, the desk’s solid hardwood custom construction by Amish artisans is your assurance the unit you choose will, with proper care, become a treasured piece for future generations to enjoy. You can also match up your favorite roll top desk with a chair from our huge collection.